The Royal Oak Room was once the general waiting room for hundreds of train passengers as they traveled to and from Quebec, Boston, New York and points beyond. The property carries a rich history throughout the community. Many people can still recall stories from their ancestors including immigrants who arrived at the station as they began their new life in America, soldiers who left for and returned from serving the country during World War II, as well as those embarking on a journey to explore the world. 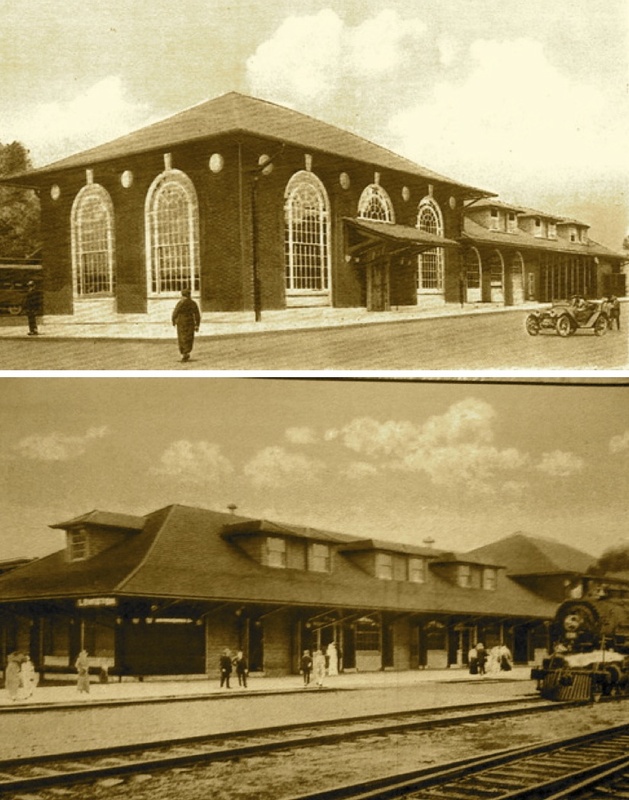 1916: Maine Central Railroad developed plans and construction work began on the Lewiston Station. 1917: Rail service began and thousands of passengers traveled through the Lewiston Station. 1960: Rail service ended and the property was sold to Atlantic Steel Company of Boston which later opened Steel Service Center at the location. 1966: Robert Roy Sr., a Lewiston native whose family originated from Canada, purchased Steel Service Center. 1993: Robert Roy Jr. purchased Steel Service Center from his father and operated the business from the location for another 13 years before moving it to the former Coca-Cola distribution plant on outer Lisbon Street in 2006. 2008: Renovations began on the train depot. 2010: With renovations complete, Ironhorse Court was unveiled to the public and honored by the Androscoggin County Historical Society. The Royal Oak Room hosted its first event in October.